People have different preferences when it comes to homes. Some prefer large and spacious interiors while others love the idea of living in a small, quaint and cozy home under a thousand square feet. A smaller house may not be very grand or extravagant in terms of space and size. However, it can be just as elegant, classy and modern as any other large property. All it takes is proper space management, the right furniture and fixtures, and a minimalist approach in design. 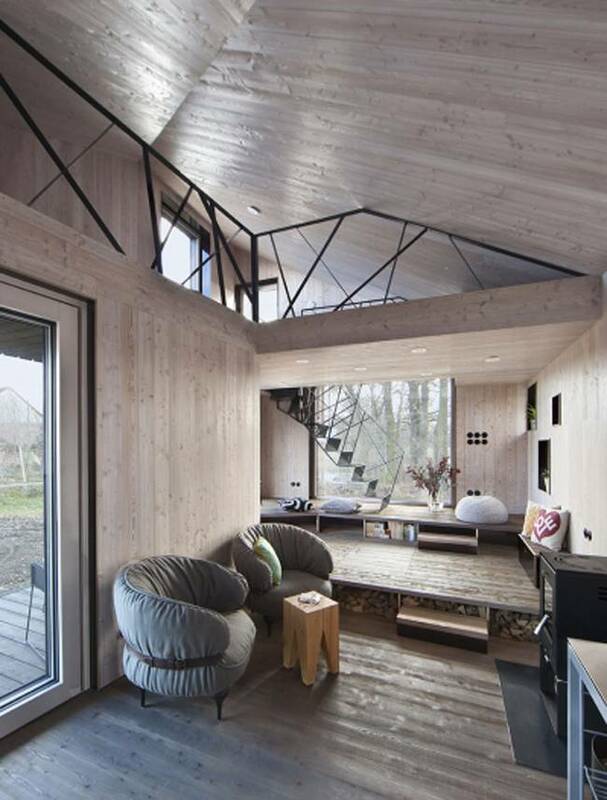 Located in east Bohemia in Czech Republic is an interestingly-shaped small wooden home by ASGK Design. The shape of the house was inspired by a boy’s fancy imagination in which he saw his home as an arthropod slouched towards a huge oak tree. The shape is intriguing at first glance. However, the interesting roof angles are very functional because they are designed to maximize solar gain. 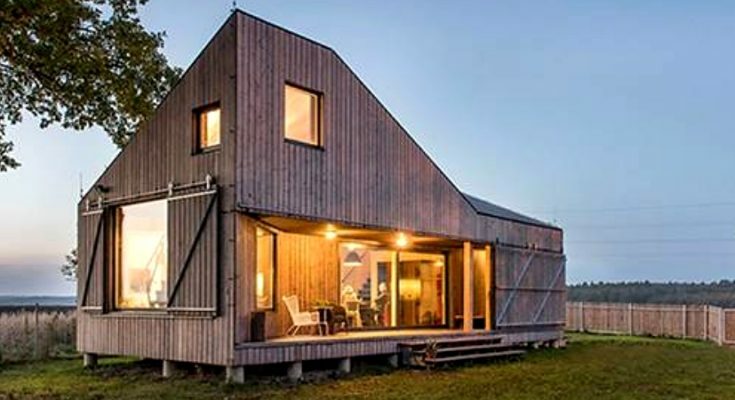 Therefore, this house offers an energy-efficient concept which is one of the advantages of its unique shape and design. 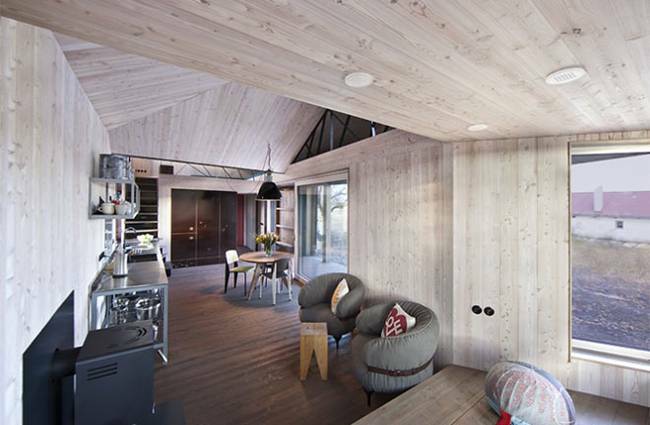 This nice, wooden and modern house offers a peaceful surrounding. The house itself is a picture of serene and simple living yet offers class and comfort. 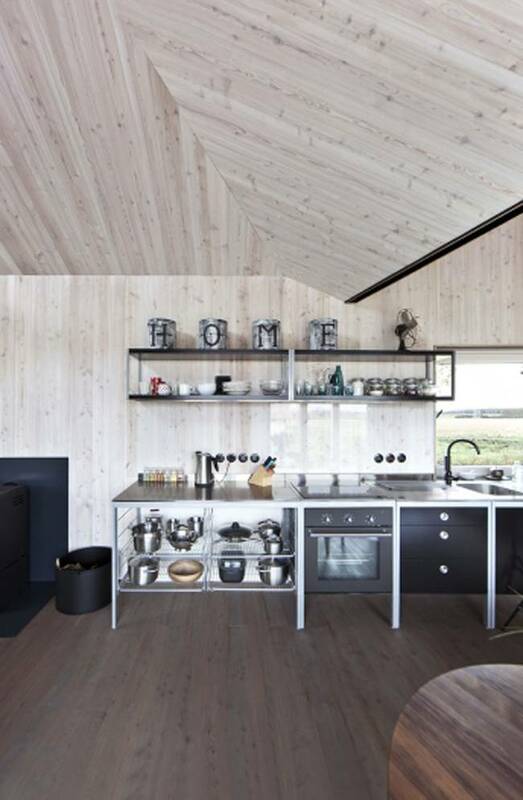 The roof, façade and interior were constructed using larch boards. 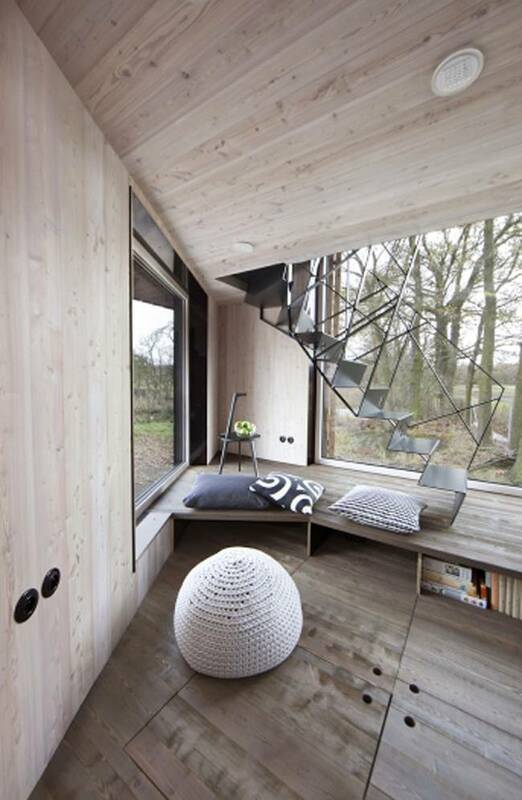 Inside, it has a lounge, a modern kitchen and metal staircases leading to the loft. Sliding glass doors lead to the outside patio. 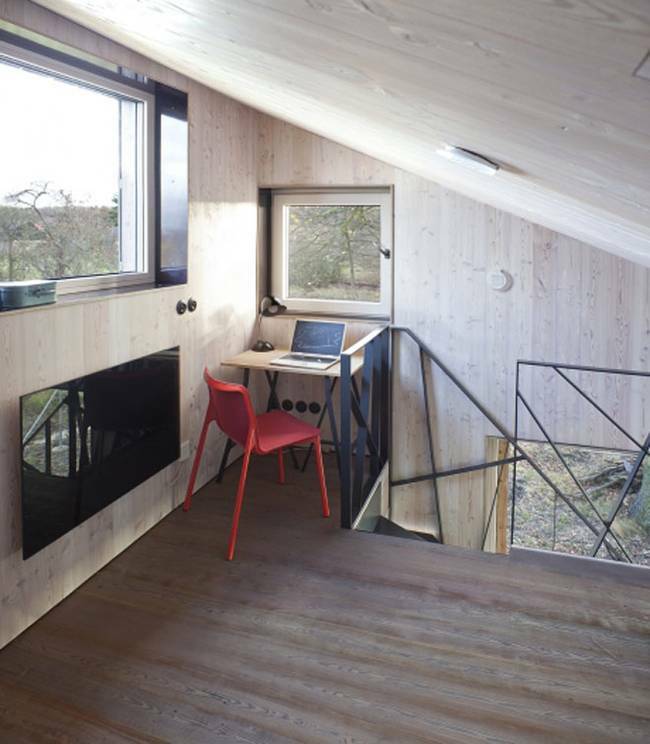 Over-all, it is a small yet functional wooden house with maximized space that guarantees comfort in style. And since it is located in the countryside, it also encourages love for nature and outdoor adventures. For more tiny homes, find them in the Building Homes and Living directory.